Bismarck are a doom metal band from Norway and this is their debut album. Here we have 35 minutes of doom metal that incorporates quite a few different sub-styles into its melting pot. Drawing on influences from stoner, doom, drone, progressive, sludge, psychedelic, and post-metal, Urkraft is a well-rounded and satisfying slab of heaviness. The music is nowhere near as eclectic as the above description might imply, however, as the aforementioned influences are skilfully incorporated into the overall doom metal sound that the band have crafted for themselves. This variety of delivery simply means that the music has a lot of depth and substance, but it wouldn’t work if it wasn’t backed up by strong songwriting. Urkraft benefits from this, and the relatively short duration of the album only seems to magnify it; there is no filler anywhere on this record. With its stoner doom base, the band build in elements of the different styles in the right places, weaving different elements into the music’s overall tapestry as necessary and where relevant. This has resulted in music that is recognisable as what you’d expect stoner-influenced doom metal to be, but overall heavier and more willing to include aspects of other related sub-genres where it enhances the offering of the songs. Fans of bands such as Earth, Conan, Electric Wizard, Sleep, Behold! 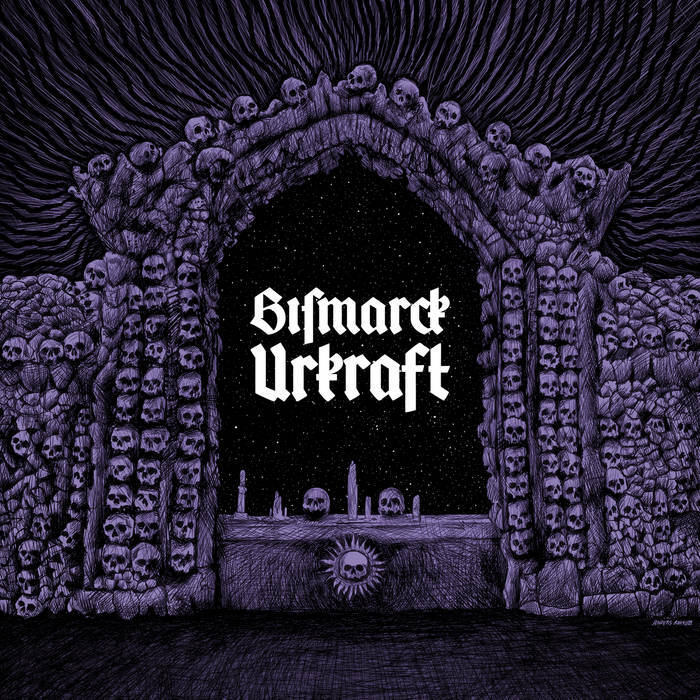 The Monolith, Ufomammut, and Neurosis will all find something to like here, and Urkraft is an enjoyable and charismatic metal album. This entry was posted in Doom and tagged Behold! The Monolith, Bismarck, Conan, Doom, Doom Metal, drone, Earth, Electric Wizard, Metal, Neurosis, Post-Metal, Progressive metal, Psychedelic Metal, Sleep, Sludge, Stoner, Stoner Doom, Stoner Metal, Ufomammut. Bookmark the permalink.